A classic geometric Arts & Crafts piece with handcrafted art glass in shades of sapphire blue warm honey amber and cream. 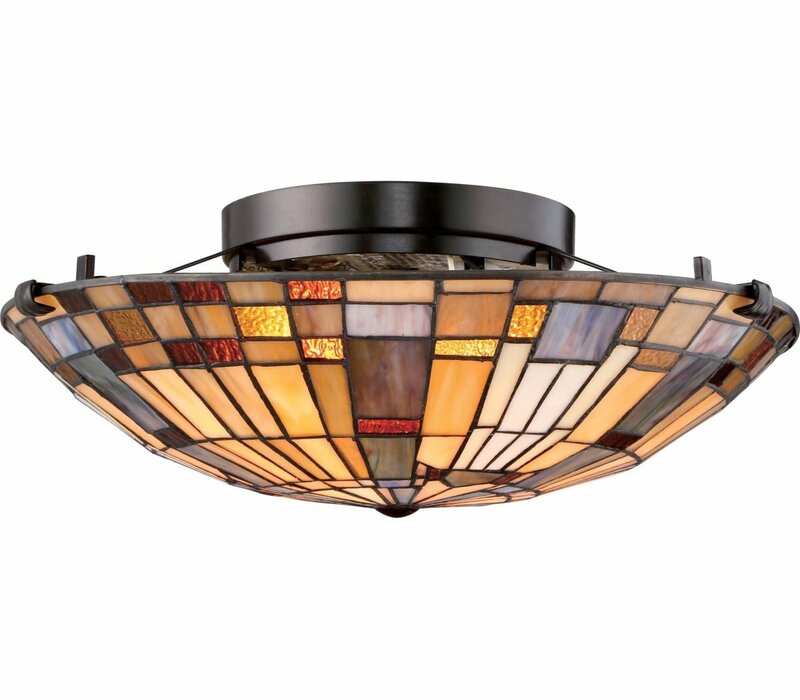 The Quoizel TFIK1617VA Inglenook collection Close to Ceiling Lighting in Valiant Bronze uses Fluorescent light output and brings Arts and Crafts style. This item is 6"H x 16.5"W x 16.5"L. The wattage is 75. The Quoizel Lighting TFIK1617VA requires 2 bulbs (not included). 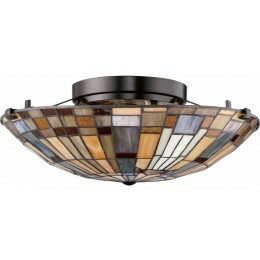 Additional Information: Shade-Tiffany Glass Shade.